Anomalously hot weather of last summer in the Siberian region not only led to wildfires, but also became the reason of mass flash of the Siberian silkworm. In such regions as Krasnoyarsk Krai, the Tomsk and Irkutsk regions of heat lasted 160 days. And scientists proved long ago that, the heat is stronger, the longer it lasts, the more intensively there can be wood infection with the wrecker. 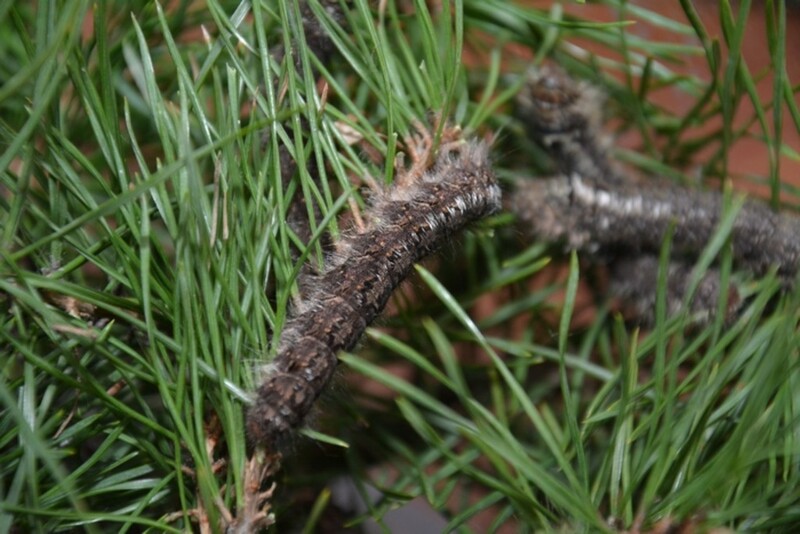 And following the results of the lesopatologicheskikh of inspections for today the area of the wood infected with a silkworm passed for one million hectares (1,3 million hectares). Epidemic captured four regions: in Krasnoyarsk Krai – over 800 thousand hectares; in the Tomsk region – over 400 thousand hectares; in the Irkutsk region – over 28 thousand hectares; in the Kemerovo region – over 13 thousand hectares. “If measures are not taken, the forecast – unfavourable. The centers of the Siberian silkworm will be увеличиватьсяв Krasnoyarsk Krai, the Tomsk, Kemerovo, Irkutsk regions. And also formation of the new centers of the wrecker in the Republics of Buryatia, Altai, Khakassia and Tyva is possible”, – the Deputy minister of natural resources and ecology of the Russian Federation – the head of Federal Forestry Agency Ivan Valentik comments on a situation. In Siberia for the last one and a half centuries there were several outbreaks of mass infection of the wood with the Siberian silkworm. The first epidemics were recorded in the 70-80th years of the 19th century in Eastern Siberia (2,5 million hectares.) In 1922-1926 damages from a silkworm to the East Siberian area and Buryato-Mongolsky the ASSR reached 1 million hectares. In 1937 the silkworm extended in Eastern Siberia in the Chita region to 2,5 million hectares. In 1953-1957 in Western Siberia, on space from the ridges of Tuva to plains Ob-Irtysh and Ob-Yenisei the mezhdurechy wrecker bred in the territory of over 4 million hectares. All forces of forestry and small aircraft of the region were mobilized for fight against it. Aviaprocessings of the centers chemical medicines helped. Now for successful fight against a silkworm it is also necessary to process urgently infected areas chemicals. “Taking into account health requirements and except for sites with the strong objedaniye of needles, processing are planned on total area over one million hectares”, – the deputy head of Federal Forestry Agency Nikolay Krotov declares. The quicker there will take place processing by express medicines, the it is more than chances to keep the woods which are already struck with a silkworm and to avoid distribution of the wrecker on other territories. The medicines capable to cope with the Siberian silkworm a little. But in the State catalog of the pesticides and agrochemicals allowed for use in the territory of the Russian Federation against the Siberian silkworm it is possible to apply only one biological medicine and one chemical. And even their effectiveness depends on air temperature and weather conditions. “For efficient protection of the woods and suppression of number of the Siberian silkworm use of the chemical medicine “Ram” which is not allowed for use against wreckers of the wood yet is possible. At the same time it is actively used in agriculture”, – the deputy head of Federal Forestry Agency Nikolay Krotov reports. The medicine “Ram” is a piretroidny insecticide. A basis of working solution of medicine is water. At high performance of influence in nature medicine breaks up in 14 days. The insecticide “Ram” enters into group of medicines which are applied to a disinfestation of rooms, including in hospitals and kindergartens. When keeping standards and technology it is absolutely harmless to people and animals, does not make negative impact on fungi and berries. In 2017 further deterioration in a situation is predicted – the area of the centers can increase to 2,5-3,5 million hectares, an usykhaniye of plantings as a result of the strong and continuous objedaniye of plantings – to 500 thousand hectares. The single means of fight against the Siberian silkworm in this situation is aviation and land processing of the woods insecticides. “The solution of a question of protection of the woods against the Siberian silkworm will not suffer delay. Angrily not smaller, than fires. And requires an attention to itself not smaller. Warm winter, hot summer, tender September, and as a result – tens and even hundreds of hectares of the wood in captivity at one of the most dangerous wreckers. Consolidation of efforts, financing of land and aviation works, collateral with regions, is necessary. And, of course, effective chemical medicines are necessary. It is one of prime problems. It is necessary to include in the list of the medicines, allowed to use, urgently the universal which action is not limited to heating and weather environments”, – the Deputy minister of natural resources and ecology of the Russian Federation – the head of Federal Forestry Agency Ivan Valentik considers. “The Tomsk and Irkutsk regions approached a silkworm problem very seriously, dug up resources and resources for carrying out processing of the woods. Practice of the Tomsk region for us is the indicator of the deep relation to this perspective. In the Krasnoyarsk region the area of the centers of the Siberian silkworm is almost twice more, and about joint financing of necessary actions from the regional budget the speech does not go. I consider that Krasnoyarsk Krai needs to think of after all to find appropriate means. I emphasize that for the efficient organization of works on protection of the woods against a silkworm within regional target programs it is necessary to provide financing of the whole complex of actions. To make it in the shortest possible time within high alert of regional character and the emergency mode on ensuring financing of elimination of the centers of the Siberian silkworm”, – the Deputy minister of natural resources and ecology of the Russian Federation – the head of Federal Forestry Agency Ivan Valentik declared.